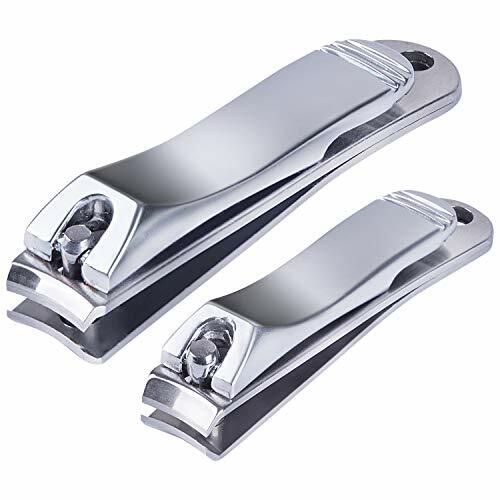 【PODIATRIST TOENAIL CLIPPERS】 Toe nail clippers are designed for ingrown and thick nails specially, which keeping your feet healthy whitout pain and nail fungus. 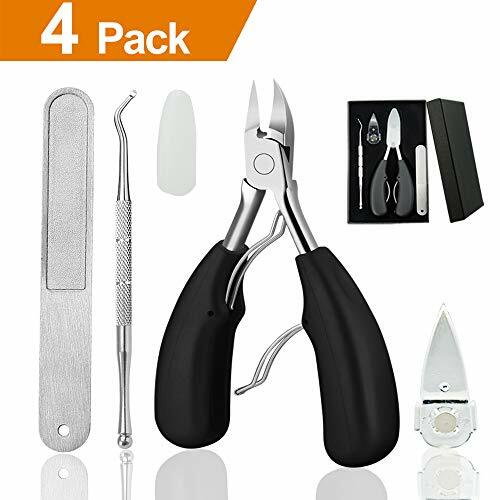 This 4 professional tools contains, toenail trimmers, nail file, nails cleaner, magnetic cover prevent nail falling uncontrolly, they are ideal for anyone and perfect for arthritic or seniors. 【PROFESSIONAL TREMMER FOR INGROWN NAIL】 MATT MURS ingrown toenail scissors trim ingrown nail safely and resolve pain of ingrown nail. The blade edge 25 degree arc fits the arc of nails, which precisely trim ingrown nails or sharp pieces at the corners without hurt. The 18MM edge can deep into paronychia to cut ingrown and thick toenail simply. 【SHARP BUT SAFE FOR THICK NAIL】 MATT MURS sharp toenail trimmers always keep your thick nail fragile. Medical surgical and superior stainless steel blade is sharp and durable to trim any tough nail without rust, tarnish, corrode. You can easily cut any extremely thick toenal or fingernail with 0.4In natural opening(up to 1.4In). 【UPGRAD HANDLE NAIL NIPPER】 MATT MURS ingrown toenail clippers provides easier effort to cut thick ingrown nails for left or right hand user. The handle is made with ABS material that is non-slip and comfortable, which better than slipping and hard to control stainless steel. For another, Double spring is effort-saving and longer service. 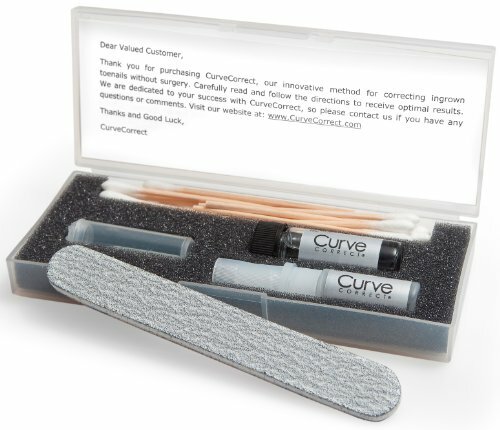 【YOUR SATISFACTION GUARANTEED】 If MATT MURS ingrown toenail clipper has any defects reimburse 100% of your purchase and ship you a brand new package. 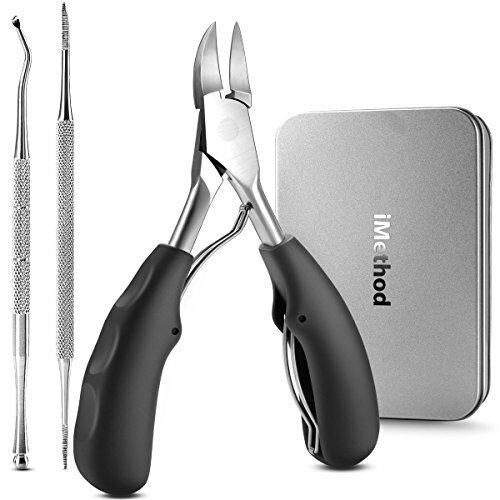 A MUST HAVE FOR PEDICURES - 3 in 1 iMethod surgical toenail instruments kit contains 3 essential tools you need when keeping your feet healthy at home, 1 heavy duty toenail nippers suitable for nails of all shapes and sizes, 1 ingrown toenail lifter and 1 specially designed toenail file to relieve pain and pressure easily.They can assist in toenail fungus treatment as needed. EXTRA-EASY AND SAFE TO CONTROL - iMethod toenail trimmers have large and soft, easy to grip ergonomic handles. It is effortless to apply sufficient pressure when cutting, even if you are left-handed. 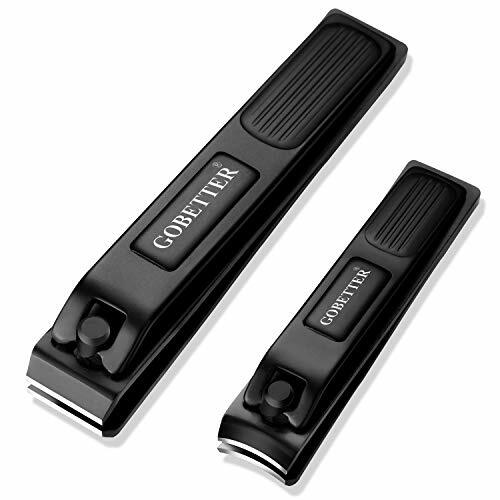 The trimmer features a protective plastic cover to go over the tip of the blades when they are closed. SHARPER, WIDER AND PRECISER - Compared with the conventional scissors, the sharp blades of iMethod professional clippers are slightly curved to make sure your nails end up smooth and clean, not jagged. The jaw opens up to over one inch to handle extremely thick nails. The angle of the cutter makes it easy to get deep and cut out ingrown nails. 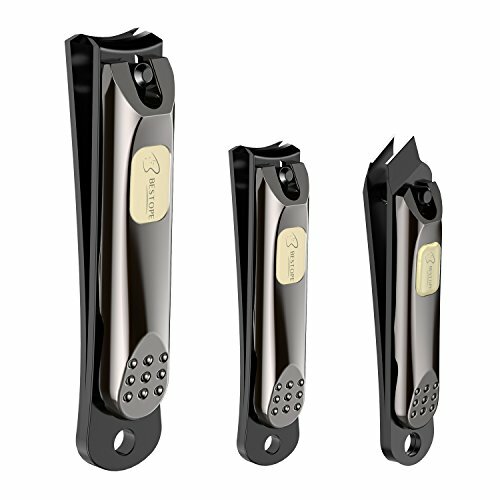 100% HYGIENIC - The blades of iMethod nail clippers, ingrown toenail lifter and file are made of premium durable medical surgical stainless steel. Easy to sanitize and resistant to corrosion, rusts or mildew. 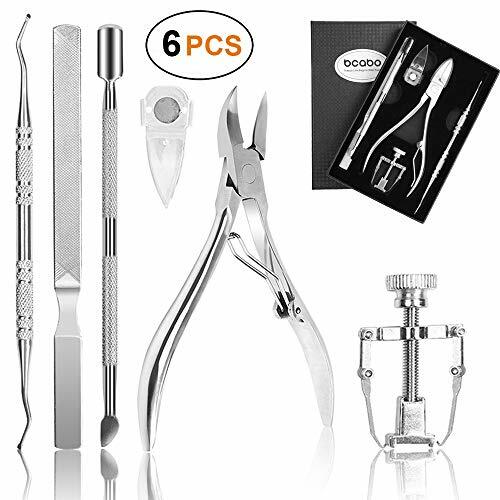 (PERFECT CONSTRUCTION) Nail clippers are made of premium zinc alloy material and advanced surface processing, precisely aligned blades, closed rotating axis, anti-slip lever make sure high end quality, rust proof, and ensure long lasting.Which will make it effortless to cut feet nails or hand nails. (EASY CUTTING) Nail clipper cutter takes advantage of perfect shape to the lever, along with the natural curve of nails. makes each cut smooth and easier, no need dig your hands into the edges deeply, keep safety when cutting nails. (HEALTHY AND SAFETY) Safety First Stainless Steel Nail Clipper case is suitable for men,women,kids,infants. 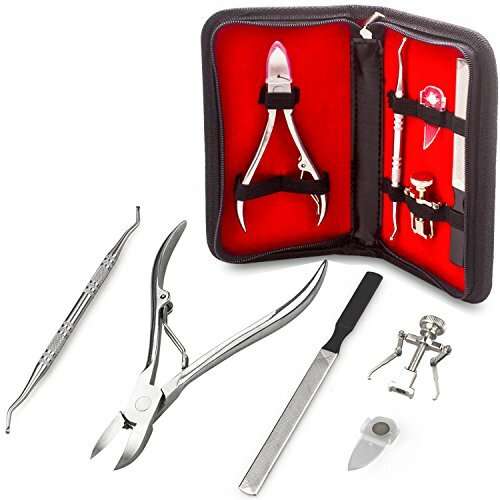 Nail clipper Kit includes fingernail clippers and toenail clippers (small and large). contains fingernail and toenail clippers giving you the right tool for the job. 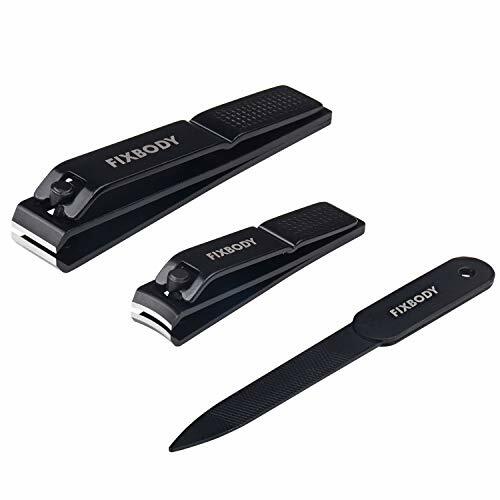 (PRECISE AND SHARP) This nail clipper set very precise and sharp blades, cut thick and ingrown nails smoothly and easily.And file attached for further polish and beautify the nails to make it into perfection with smooth nail shape. GUARANTEED) 100% Satisfaction Guarantee and Lifetime Replacement Warranty means your purchase is protected by Amazon and backed by Attootric. 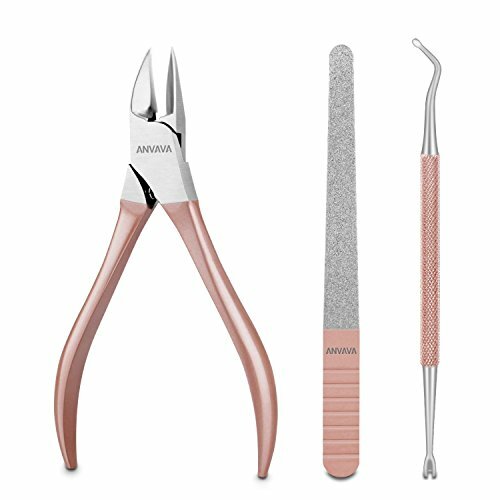 【Durable & Versatile Tools for Toenails】The toenail tools kit consists of five tools ( ingrown nail clipper, double sides nail file , cuticle cutters ,ingrown toenail file and lifter ,cuticle pusher cutter), which brings your toenail a comprehensive care. 【Super Sharp but Safe Blades】The nail clipper's blades are made by exquisite craftsmanship and quality material, which can makes them stay sharp for a extended period. The plastic tip cover is safe enough for avoiding accidental injuries especially to children when not in use. 【Ergonomic Curved & Non-Slip Rubber Handle】The nail clipper's handles with flexible spring are easy to grip and to apply pressure when cutting. The clipper's rubber design & the other four tools' non-slip handles make the tools kit more effortless. 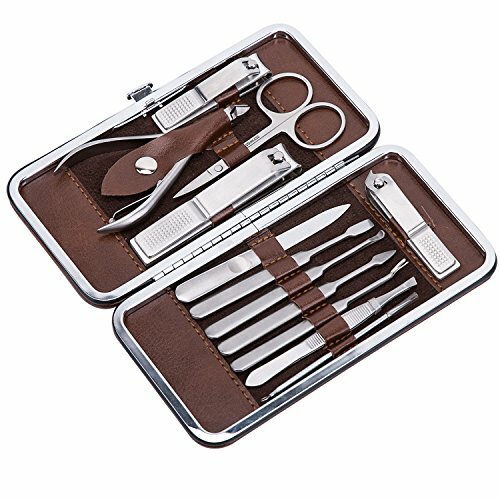 【Exquisite Packaging】The ingrown toenail clippers kit with exquisite gift box packaging is a perfect choice for you to express your care and love. 【SPECIALLY DESIGNED for Thick Hard Nails, Thick Ingrown Toenails】The blade jaw can be opened 1 inch to trim extremely thick nails easily. The angle of the blade makes it easy to penetrate deeply and cut ingrown toenails. especially for the seniors, and is also suitable for men and women of all ages. 【EASY TO USE - Non-Slip, Comfortable Grip, Easy to Operate】 The large long handle is made of heavy-duty polymer and coated with non-slip material. 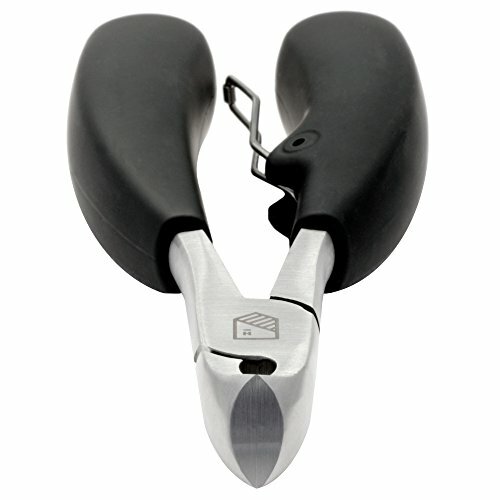 The soft rubber handle can be comfortably gripped, making the toe nail clipper easy to operate. The double spring design based on the principle of leverage makes it easy to use and labor-saving. 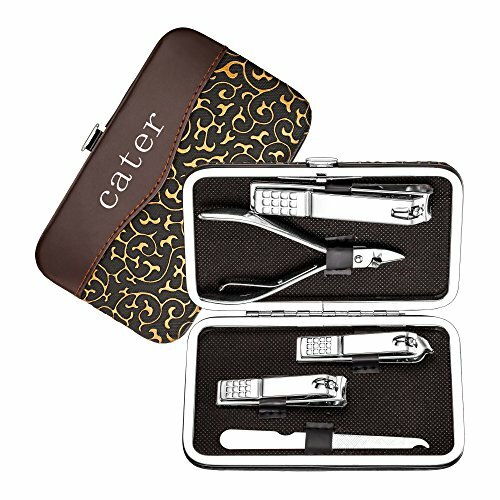 【MULTI-USAGE - Trimming for Fingernails, Toenails, Cuticles etc】 Precision-made blades will allow you to quickly and easily trim your fingernails, toenails and cuticles. The sharp blade is slightly curved to ensure that your nails are not jagged after trimming. 【SHARP but SAFETY】 Sharp cutting edges are sharpened by hand, give you a smooth and clean cut on hard and thick fingernails or toenails , cutting toenails faster. Equipped with a plastic blade cover to avoid accidental injury. 【DURABLE, STRONG and STURDY】Made of high-quality and durable stainless steel precision crafted with high hardness, strong wear resistance and corrosion resistance. 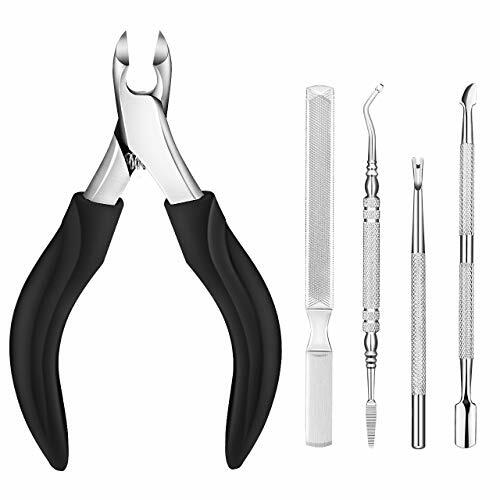 【SUPERIOR QUALITY FOR LIFETIME USE】The Nail Clipper Set & Tweezers Set are made of high-quality stainless steel and coated with anti-corrosive matte black paint, Manicure Set are DURABLE and easy to clean. 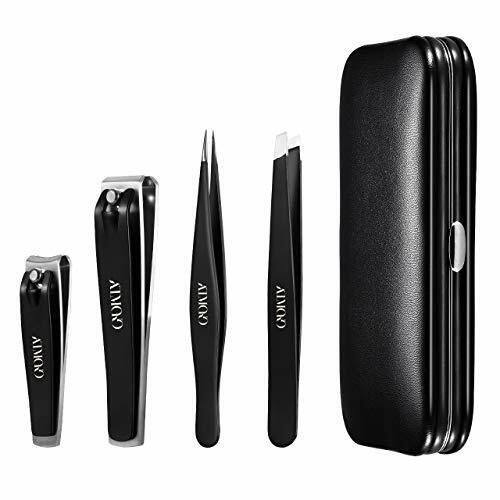 【A VALUABLE KIT】Nail Clippers Set is bringing you a perfect tweezers set and a toenail clippers & nail clippers set. Nails kit makes it easier for your daily beauty routine, especially before you are wearing nail polish. No need for expensive eyebrow and nail salon treatments. 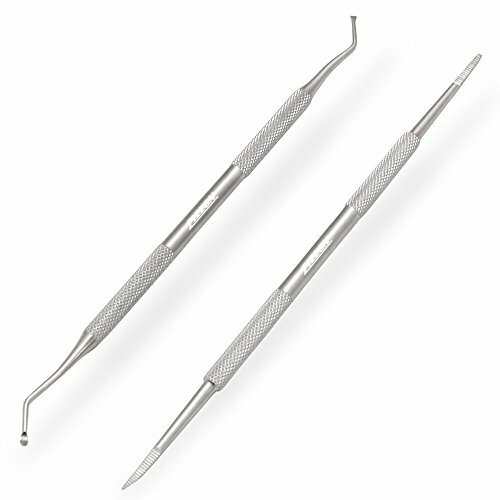 【HIGH-PRECISION SLANT & POINTED TWEEZERS】Superior calibrated tension and perfectly aligned, this tweezer set is excellent for handling eyebrows, ingrown hair, splinters. High precision guarantees pain relief and avoids inflammation, also saves your time. 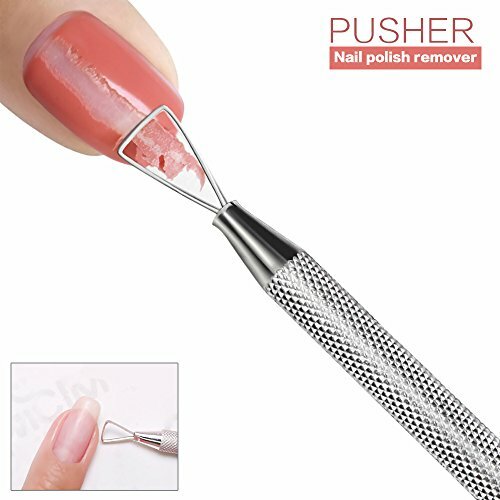 【CONVENIENT TOENAIL & NAIL CLIPPERS】Unique ergonomic design and slip-free handle allow the nail clippers to cradle fingers. The sturdy and sharpened stainless blades cut thick nails smoothly and easily, making it easier to control and deliver a more confident clip everytime. 【UPDATE VERSION BEAUTIFULLY & PORTABLE & LIGHTWEIGHT PACKED】This set is packed with exquisite leather case, it is extremely convenient for you to store and you may take it anywhere. Also a perfect gift for birthday. Note: Every Atmoko product includes a 45 days money back & 18-month warranty. Please do feel free to contact us if you have any question! INGROWN TOENAIL CORRECTOR: Toenail Corrector adopts lever mechanics to change the angle of nail growth. Then the nail will become flattened and widened and not grow inside toenail. NAIL LIFTER: Double head nail lifter help cleans dirt that under toenail, lifts toenail, keep nails neatly and prevent future ingrown and nail groove pain. 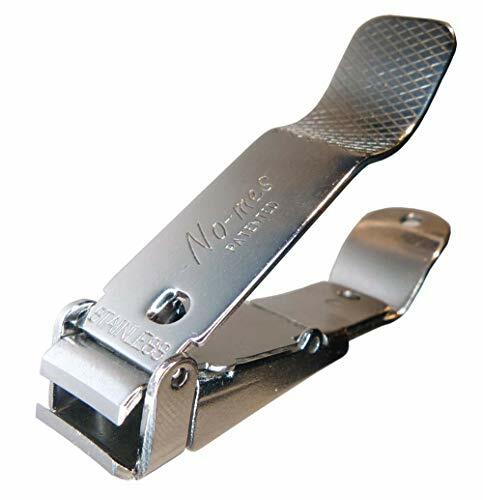 NAIL CLIPPER: Powerful and sharp clippers cleanly and smoothly cuts ingrown toenails or thick nail. With a protect cap,safe and portable.When installed the magnetic silicone cover,can avoid the nail splashing away. NAIL File: Steel file can thin out and clean under the nails, even difficult or sensitive areas. This is a specially designed to relieve the pressure of ingrown nails. 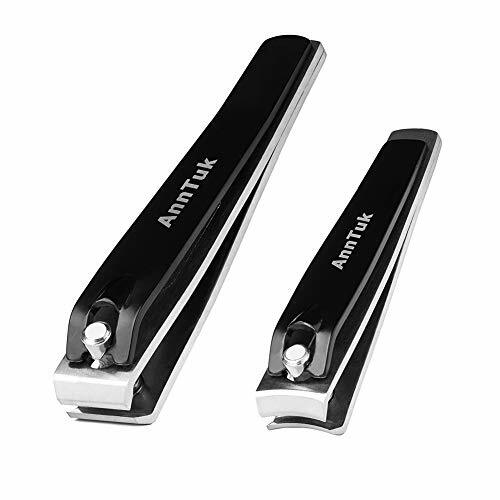 Superior Quality Material: Nail clippers made up of sturdy surgical grade stainless steel with black carbon coating, looking more elegant and classic, ensuring long lasting and minimize the risk of spreading nail fungus. 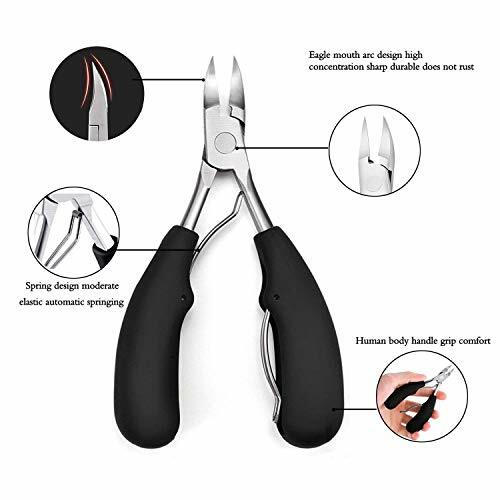 Ergonomic Design: Nail clippers with enhanced long handle design making manicure easier, anti-slip design on the lever is great for sweaty hand. No more need to worry slipping out and hurting nails. 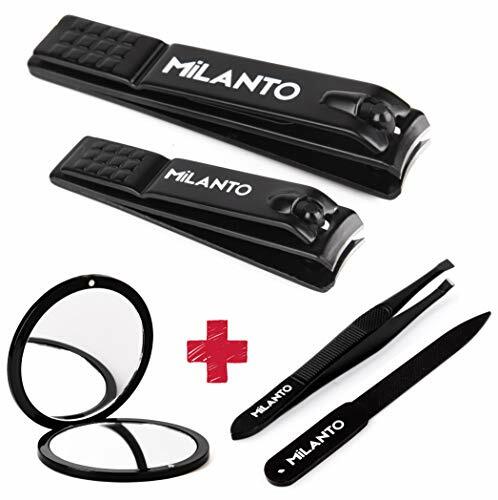 Premium built-in nail-file is more convenient to trim and polish the nails. Function: Small fingernail clipper with curved blades fit the shape of finger, its size is appropriate for adults and kids. Large toenail clipper with straight blade egdes especially designed for toenails trimming provide excellent accuracy and will not tear or split nails to prevent ingrown nail and paronychia. 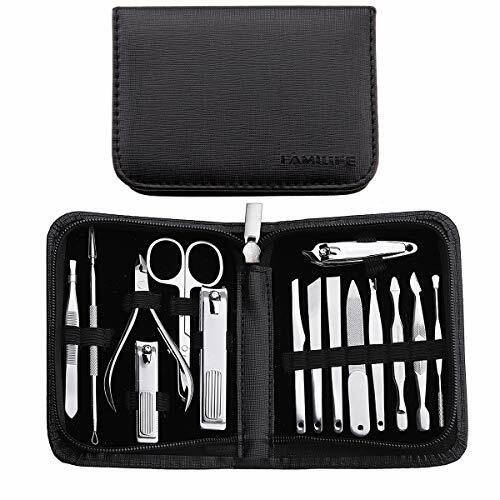 Portability: Small and exquisite package made of soft leather with a zipper is just right for storing the fingernail and toenail clippers. A ribbon sewn inside to place clippers for keeping clippers tight and neat. Convenient for travelling. Safety: With sufficiently sharp blades and unique micro-malposed edge of blades, precisely cut both thick and thin nails, nearly without much effort and will not cut to be several layers apart to allow bacteria to breed inside. 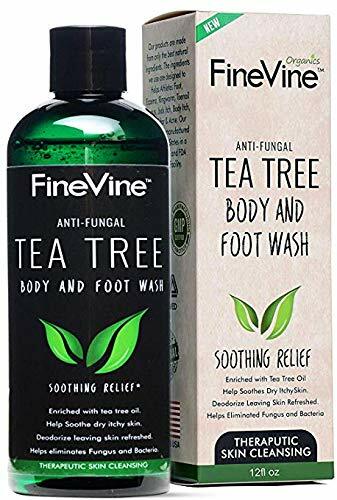 ❤Ingrown Toenail Treatment: It is better to wipe this ingrown toenail tools with alcohol after using , wipe them dried and put them into our box . it also come with a storage box for you to store , do you think it is very convenient and healthy ? ❤LIFETIME GUARANTEE -FAMILIFE'S PROMISE:All products of FAMILIFE BRAND are protected by FAMILIFE , FAMILIFE can offer you HIGH QUALITY products with so favorable price and best service 100% Satisfaction Guarantee and a Lifetime Replacement . We will either refund your money or redeliver a new product if you are not satisfied with this manicure tools for any reason. Hassle-free. You are worth it! IDEAL FOR YOUR TOENAILS - The Kohm Straight Edge Nail Clipper is best if you want your nails cut straight and smooth to prevent ingrown toenails (For those who prefer curved blades, please check out CP-140L). See our complete bundle offers by clicking on the circle with 3 dots on the top right next to bundle options. EFFORTLESS TO CONTROL - The CP-240L measures 3.3" x 0.5" x 0.7" making it easier to handle and effortless to maneuver. Its WIDER HANDLE improves grip so your fingers will not slip! It is easier than ever for anyone to cut their nails even if they have tired hands or weak fingers! CONVENIENT WITH ITS BUILT-IN NAIL FILE - The Kohm Straight Edge Nail Clipper comes with built-in nail file, so it's easy to clip and file using one tool! Add it to your keychain and bring it with you wherever you go! 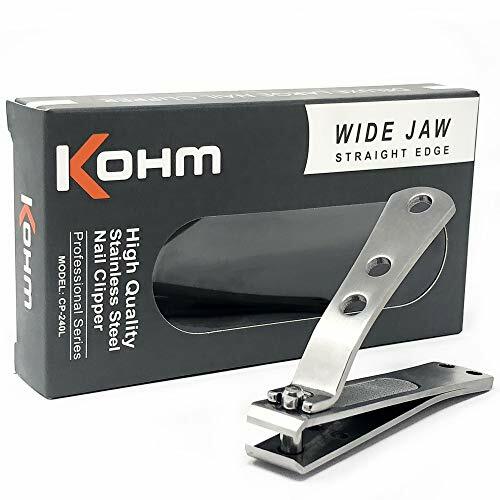 MADE WITH QUALITY STAINLESS STEEL - Not only that the Kohm Straight Edge Nail Clipper looks polished due to its stainless steel body, it is easy to clean. Simply wiped with alcohol after use. 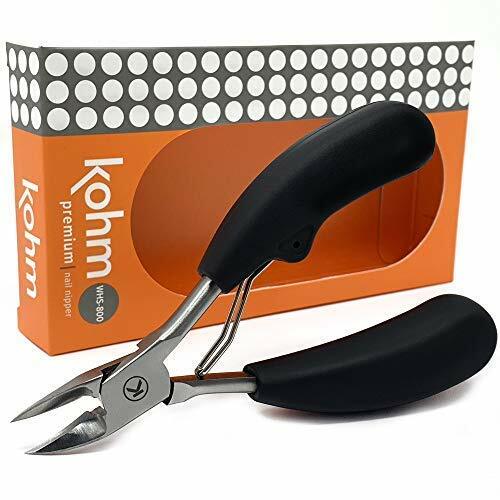 WHOLE HEALTH SUPPLY is the exclusive creator & seller of authentic KOHM Brand clipper & nippers. With advanced professional designed UV+LED dual light source, Kapmore nail dryer is applicable to curing almost all nail gels! It's light is closer to white light, no harm to your eyes and skin. Fashionable and durable 50000 hours lifetime, ideal for both home and salon using. Kapmore nail dryer for regular polish is easy to use with built-in automatic sencor. 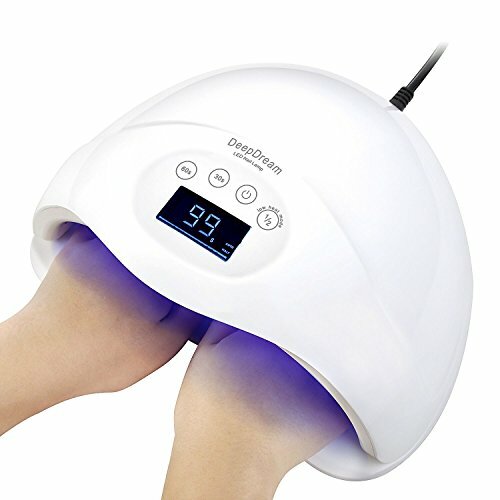 It will star automatically when you put your hand into the nail lamp, and turn off after putting your hands out automatically(default maximum working 99 seconds each time)! Facing the letter is perfect for fingernail, while against the letter is suitable for toenail! A nail dryer also can be using a power bank for charging. Which is so light just like a phone, easy to carry while traveling. Our fingernail dryer is professional and curing almost all nail gels, LED gels, UV gels, including Hard Gels, buildings, sculpture gel, gem glue etc..No brand requirements though with our advanced uv gel lamp. 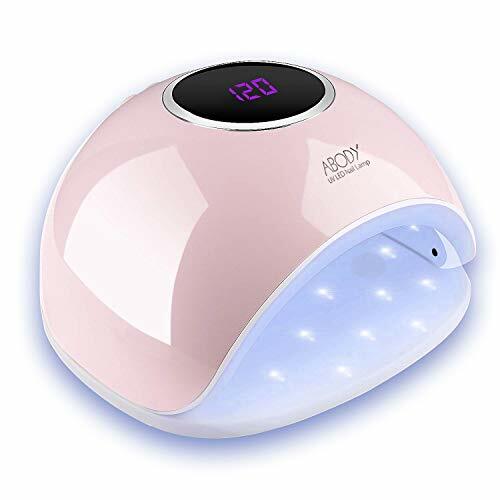 This nail polish dryer is low wattage but quick-drying which can shorten your curing time by 50% or overheat than others dryers. Quick and quiet, no need any fans anymore! 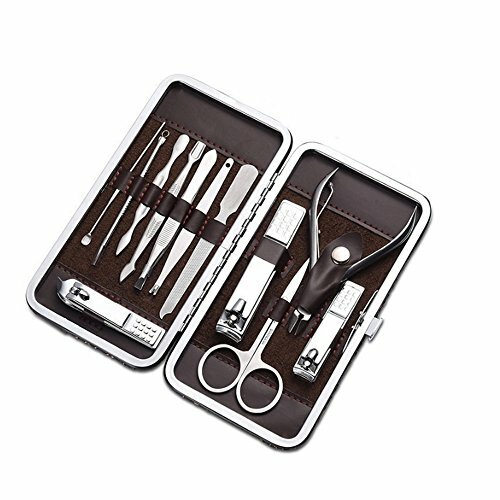 Manicure Set: Professional Manicure Kit Contains nail and toenail tools, Multifunctiona include hand care,facial care,foot care,Tool cleaning brush. Stainless Steel: Nail Scissors Made of professional surgical grade Stainless Steel, hard and durable easy to cut the nail & hair.Safe Sterilization, Prevent Corrosion and Minimize Risk of Infections. Service Guarantee: Any Question, Contact Aceoce, 1 Year Warranty, 90 Day Full Money Back Guarantee Or Get a new one as a replacement. 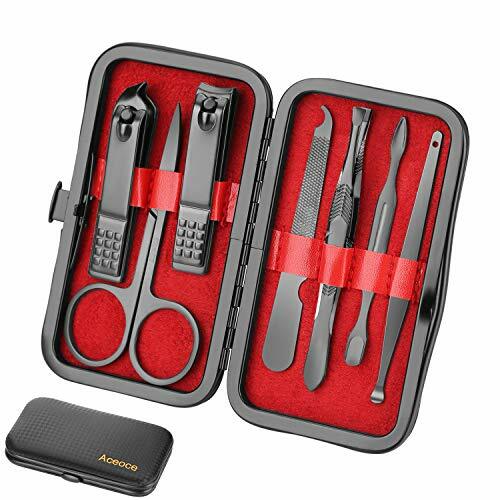 5 pcs manicure pedicure kit comes with a beautiful and stylish case to protect the sharp tools, it is easily to close or open with a secure snap closure. The case is 3 inches by 6 inches, perfect for travel or just to keep it all in one place for home use. Manicuring, pedicuring, eyebrow shaping, anti-acne, exfoliating ETC, only with one set and all done. Packed in a beautiful and portable case, including everything you need for your personal manicure, it is a surprise gift for both women and men. 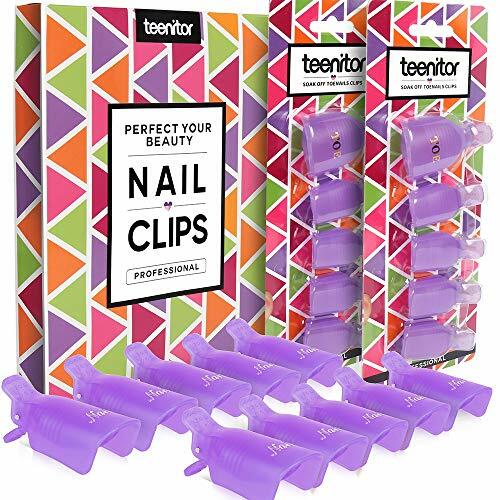 These manicure pedicure sets are made of top high steel, pretty, sturdy and built to last. You will get your money's worth with this set and more. Cater offers premium quality Manicure, Pedicure Kit. 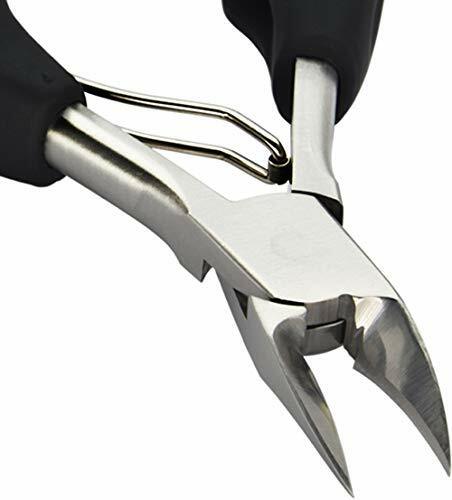 EASY TO USE - Our Professional nail clippers are for use on Fingernails and Toenails and are easy to hold and use with our super sharp stainless steel blades. 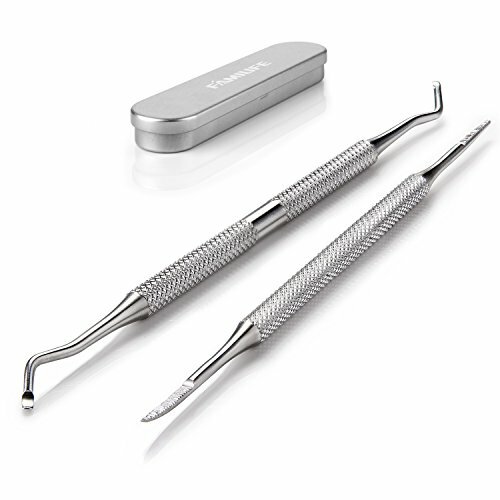 The nail cutter are a great size, measuring in at 9cm long and a lovely weight, confirming the solidity of the product. Although the edges are sharp, it will not hurt unless you set the handle to clip. It is compact and slimmer than many other nail clippers. Hence, you can keep it in your wallet while you are on travel. 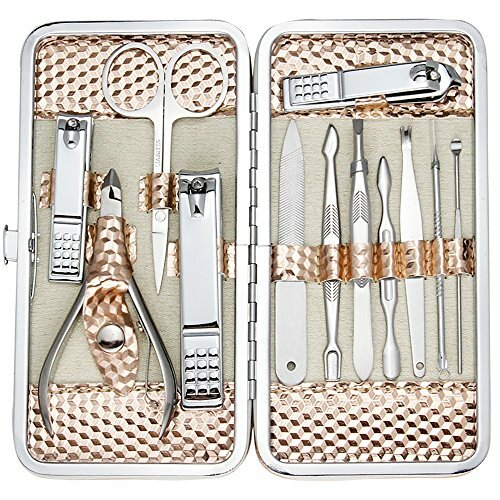 【Multipurpose Grooming Kit】This is professional multifunction nail care kit. Manicuring, pedicuring, eyebrow shaping, anti-acne, exfoliating, three functions meet everything you need, include hand care, facial care and foot care. 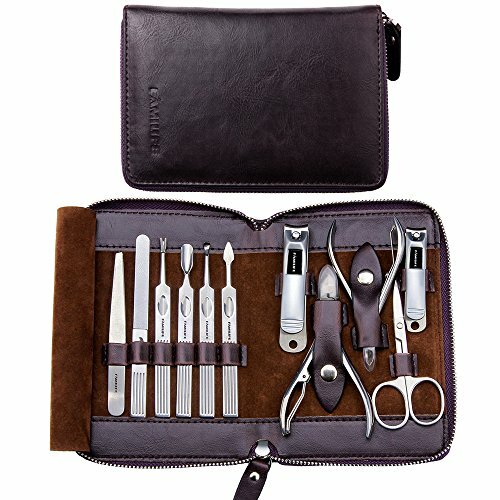 【Portable and Lightweight】The FAMILIFE 13 Piece professional manicure pedicure nail kit comes with a brown portable PU leather case, the case mini size is 4.5 * 4.8 inch, the compactly designed size of the leather case makes it highly convenient to carry as it takes minimal of storage space. can fit into almost any handbags or shoulder bags, you can carry it in your bag everyday or when you travel. 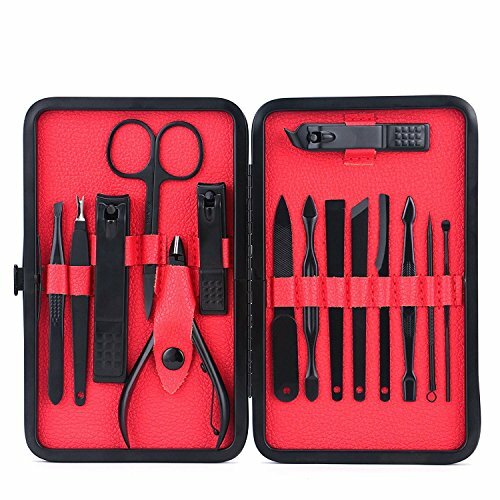 【13pcs Manicure Pedicure Nail Set】 Includes nail clippers for fingernail and toe nails, peeling Knife, cuticle trimmers, eyebrow tweezers, multi-function scissor, nail file, v-shaped push stick, toenail nipper, cuticle pusher nail cleaner, blackhead acne needle and ear pick. 【Warranty】All products of FAMILIFE BRAND are protected by FAMILIFE, FAMILIFE is a leading factory which has specialized in many kind of beauty tools for more than ten years, so FAMILIFE can offer you best service 100% Satisfaction Guarantee, we will either refund your money or redeliver a new product if you are not satisfied with nail clipper set for any reason. 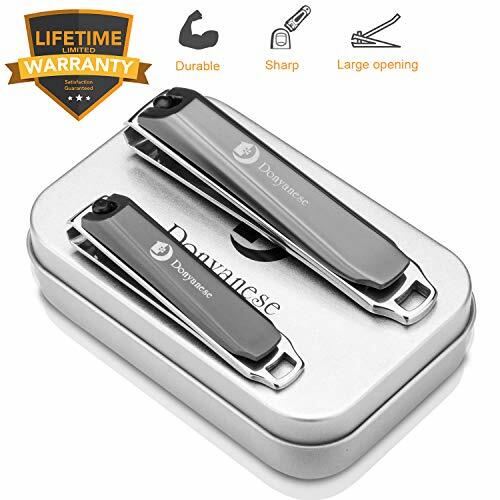 Professional Nail Clipper Set: BESTOPE 2018 brand new Nail Clipper Set contains fingernail clipper, toenail clipper and diagonal nail clippers. There are separate tools for fingers and toes. This helps to reduce the risk of spreading any fungal infections. Sturdy Construction: It is designed with electroplated Ni-Zinc alloy and fabricated by vacuum coating technology. The precisely aligned stainless steel blades, closed rotation axis and anti-slip lever ensures longevity of the product. Precise and Sharp Trimming: These tools have extra sharp and hand sharpened cutting edges. It lets you cut thick nails smoothly and easily. This set comes with integrated nail file which makes nails smooth. Every nail clipper comes with hole for key chain. It is portable and versatile. Ergonomic and Effortless Design: The curved and slant edge cutting blades make cutting easy and clean. It is built for all nail types. It has easy grip lever and non-slip matte finish designed for best accuracy and control. 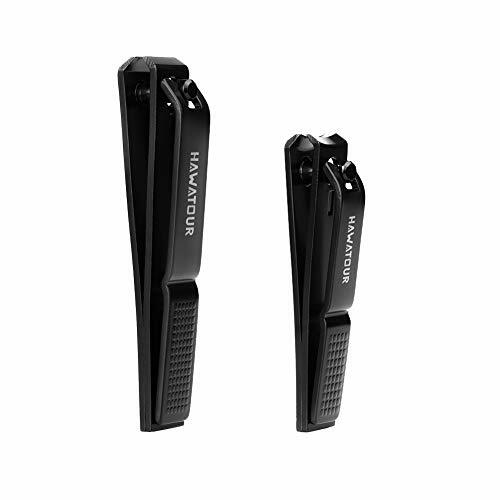 Worth For Money: These Nail Trimmers come with a compact gift case. This is a perfect manicure set for home and travel. It is suitable for most people. STURDY DESIGN - This soaker is built to last! Thick solid plastic that doesn't wobble when filled with water. No attachments, like a handle, that will break off. BUILT IN FOOT MASSAGER DOTS AND ARCHES - These are great. Do we need to say more? RELIABLE FOOT SOAKING TUB - No electronics to break or loud annoying sounds as you relax. Just add hot water and enjoy a 20 minute soak. It's that simple! 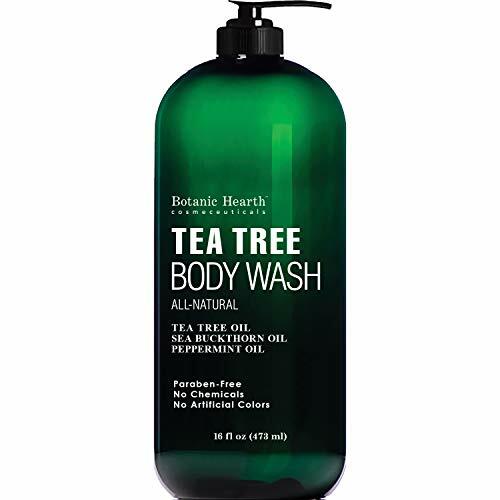 NATURAL TEA TREE FORMULA - This tea tree oil body wash is made with pride in the USA with only natural ingredients and no synthetic preservatives or scents for best results. 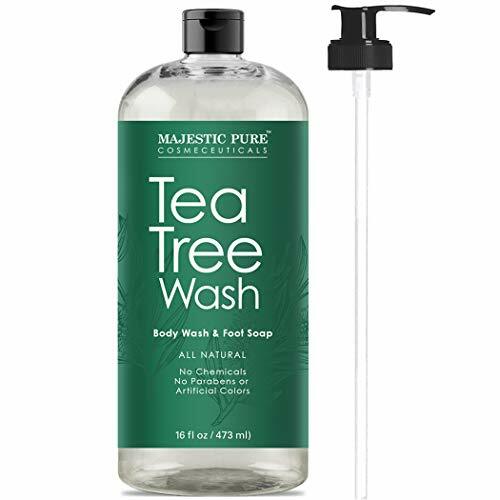 DEEPLY HYDRATING - The natural body wash will clean and hydrate your skin, and it will help damaged skin heal faster with a protective layer of moisture. 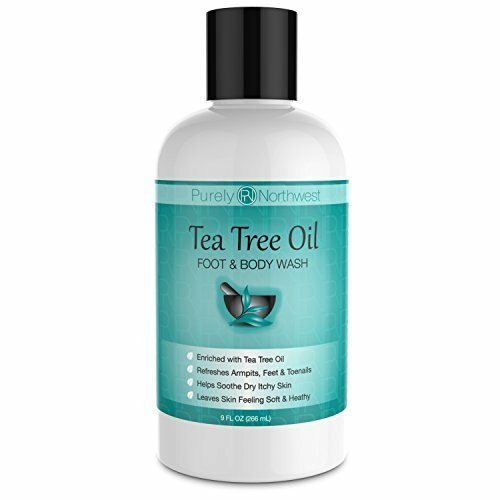 REFRESHING SCENT - The energizing scent of the tea tree oil will invigorate you and it will help with body odor and smelly feet so you can feel clean and refreshed every time. PERFECT FOR EVERYONE - The deep cleansing shower gel is gentle on your skin so it's ideal for daily use ,and it's suitable for men and women, and for every skin type, from sensitive to dry! 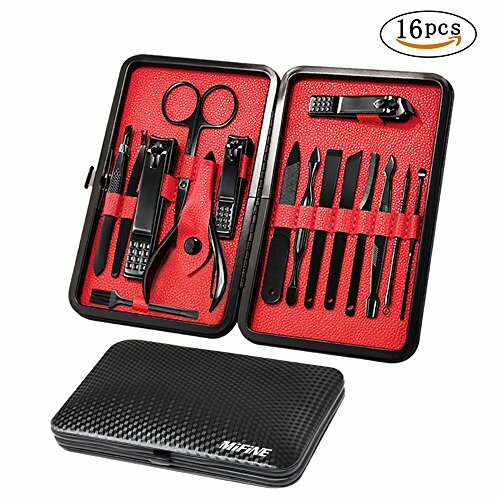 ❤15 In 1 MANICURE KIT: Manicuring, pedicuring, eyebrow shaping, anti-acne, exfoliation, with FAMILIFE Pedicure set it can keep you nails, face and toes clean and neat. Everything in one set for your need with personal manicure from face to feet. Give yourself a complete manicure tool set better than a professional now. ❤NICE ORGANIZED NAIL CARE: Comes with all sorts of instruments for ones hygiene, FAMILIFE manicure pedicure kit tool set is small and compact so it's easy to take it. With the size of 5.7*4*1 inches, leave one at home or office because you always need them. Kit has everything you need for grooming on the go absolute must when it comes to traveling or everyday grooming. 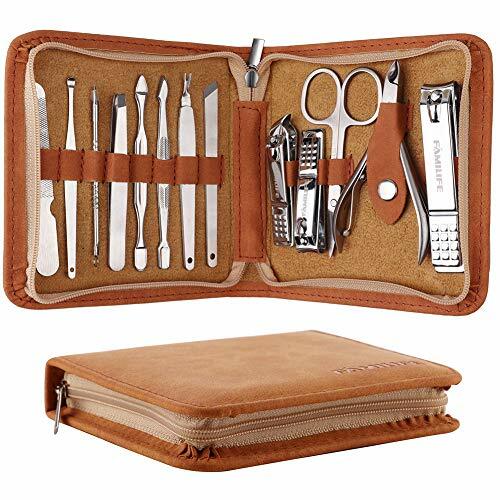 ❤MULTIPURPOSR GROOMING KIT: Portable and lightweight with classical PU leather gift case, this heavy duty nail grooming kit must a surprise gift for your family and friends. Suitable for both men and women. 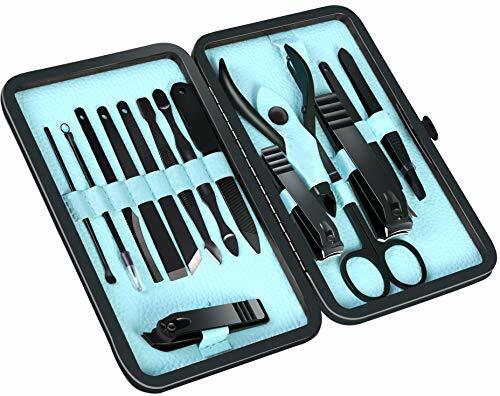 ❤15 PCS MANICURE PEDICURE NAIL SET: Includes nail clippers for fingernail and toe nails, 3 peeling Knife, cuticle trimmers, eyebrow tweezers, muti-function scissor, nail file, v-shaped push stick, toenail nipper, cuticle pusher nail cleaner, blackhead acne needle and ear pick. Work for your hand care, facial care and foot care. ❤LIFETIME GUARANTEE: All products of FAMILIFE brand are protected by FAMILIFE, FAMILIFE offers good quality products with favorable price and best service 100% satisfaction guarantee. We will either refund your money or redeliver a new product if you are not satisfied with our product and service for any reason. 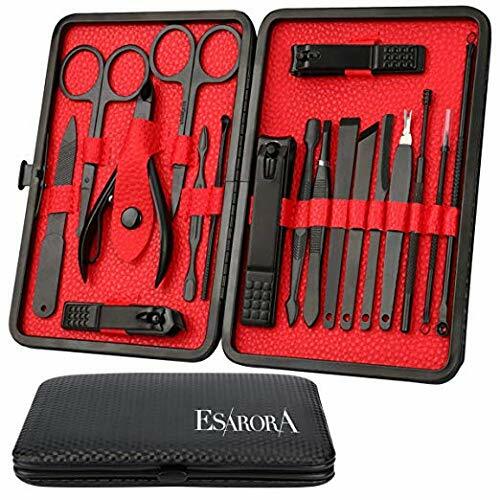 Portable： ESARORA Manicure set comes with a portable synthetic leather case that is easily opened with a push of a button. It is also very lightweight so you can carry it with you in your bag everyday or pack it with you when you go traveling. EASY TO USE : you put the cotton soaked with polish remover in the sections first, then apply them to the nail. BEATS COTTON BALLS/FOIL : It beats the cotton balls/foil treatment, could put them all on yourself with not having to use foil. 10 minutes and the shellac comes right off. FREE YOUR HANDS : it holds the cotton in place which frees up your hands for other activities. Professional Salon Lamp: It can cure all gels within 30s: UV Nail Gel, LED Nail Gel, Nail Builder Gel, Sculpture Nail Gel, Acrylic Nail art, Gellen Gel Polish, Rhinestone Gems Glue and UV Resin etc, no sticky gel. 24 Lamp Beads: Upgraded UV and LED lamp, fast cure gel but won't hurt eyes or black skin; long-lasting 50,000hrs lifetime no need to replace. Auto On/off by Infraed Induction: Hands in, lamp on. Hands out, lamp off; It can be started automatically by auto-sensor without pressing any key. 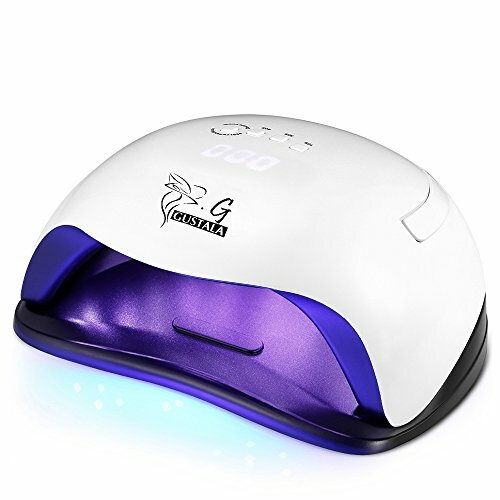 LCD Time Setting: 30s/60s of 2 timer settings and max curing 99s at 1/2 low power mode(for sensitive skin), time depending on the amount of gel polish you have on for a perfect nail art. 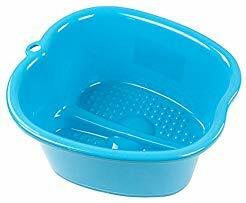 Big Size: Large enough fit two hands or feet in at the same time, not to worry about bumping sides or messing up polish; also the bottom part is detachable from the top part, which is easily cleaned and sanitized. WARRANTY: 100% satisfaction guaranteed. Backed with 6-month warranty of return or refund. PERFECT NAIL TRIMMING -FIXBODY Nail Clippers set Nail clipper set contains fingernail and toenail clippers & nail file and come with a leather case，it is perfect size for your purse when you are travelling,Any time and any where this set can give you the right tool for the job while reducing the risk of spreading nail fungus.